"Hello, my name is Flynn and I have been waiting for my furrever home for quite some time. I am a petite girl with a beautiful velvety thick coat and the most gorgeous green eyes - and perfectly symmetrical tuxedo markings, too!" "I spent quite a while at the shelter hiding under blankets until my foster mom took me home and discovered that I am actually very loving and affectionate. I just prefer to lay beside my person and get endless petting and snuggling, rather than being picked up. I also like other cats and I was a very good substitute mommy for many litters of scared kittens in my foster home. I would happily be your best friend forever, girl-scout's honor. 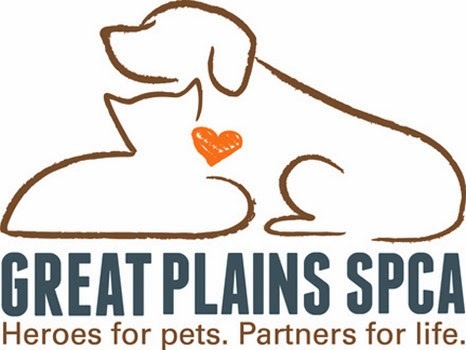 Sweet Flynn is available at the Independence Campus of Great Plains SPCA! Flynn, you sound like a gift that is waiting to be discovered! Best of luck to Flynn in finding a forever home of her own. We are glad she is in a foster home and not at the shelter now. I hope Flynn soon gets her forever home. With a name like that she should do.